Need More Power? Try some of our Big Boy Servers. Below is a list of some of the features that are included stuff in here with random the generated text. We use SolusVM, which makes it easy to complete common tasks, troubleshoot errors, and even access your server via shell or VNC. SolusVM makes server management fast and efficient with a full suite of user-friendly features. You can easily scale from one server to thousands with SolusVM. You can create a custom template and instantly install it on all future servers. SolusVM provides a powerful API that can be used for designing custom applications for your needs. Downtime harms businesses. We offer a 100% SLA Uptime Guarantee to our clients, because downtime is never acceptable. With 4 geographically diverse locations, we can always be near your target audience. RAID-10 disk protection ensures that your virtual servers stay online without data loss, even in the event of a total drive failure. Need Management? We got you covered. 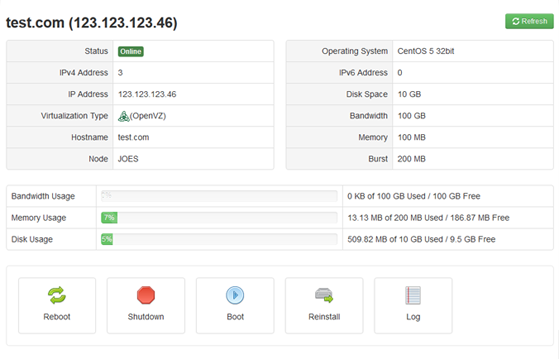 Add a full management package to any of your VPS. No control panel required. Just $25/m. Four locations to choose from, world wide. Based in Quadranet's flagship location in Los Angeles, our LA-1 DC boasts excellent connectivity to Asia. Our Dallas location provides excellent connectivity through the United States and South America. Jacksonville uniquely combines 500+ GBPS DDoS protection with premium short-path bandwidth carriers. Roubaix provides excellent connectivity throughout Europe, while also providing affordable 500GBPS VAC DDoS protection. Up to 500 GBPS Inbound, powered by Voxility. Service monitoring for HTTP, FTP, DNS, etc..
How long does it take for new services or upgrades to be activated? New services can be activated instantly once payment has been received. Upgrade orders can also be activated instantly. Add-on services like additional IP addresses require manual provisioning, which is generally completed within 15-20 minutes. What kind of DDoS protection do you offer? Our DDoS protection varies by location. In France, we offer OVH VAC DDoS Protection, rated at over 500GBPS, which is included free of charge. In Jacksonville, we offer Voxility DDoS protected IPs, which are available for $5/m. What happens if I need help/server management? These servers are completely unmanaged, meaning that you get full root access to the servers and are able to do whatever you like. However, YourLastHost does offer custom emergency server management which can be added to any server for $50/m.